In the middle 1860s people secretly moved themselves almost as cargo might ship from the Southern States of the US to a more promising life in the North. Only these people had no safe containers to travel in and no legitimate avenues to travel on. The passage ways these people took to attain what they hoped would be a better life came to be known as The Under Ground Railroad. There were no transportation tickets for slaves to buy, no planes for these people to catch. 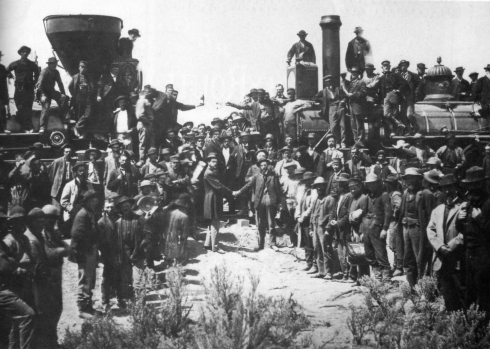 Several years later many of these same people would help America build its actual railroads-ones leading to the west. The wooden crossties, railroad ties, were approximately 8 and 1/2 feet long weighing up to 200 pounds each. Still, many people worked all the live long day laying track. 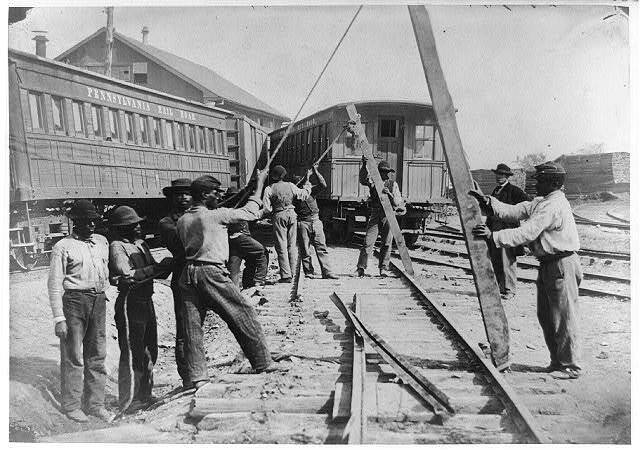 And you know many of these workers knew some of the very people who had once enslaved them might even ride on these very same rails. Still, they worked to lay tracks out west. 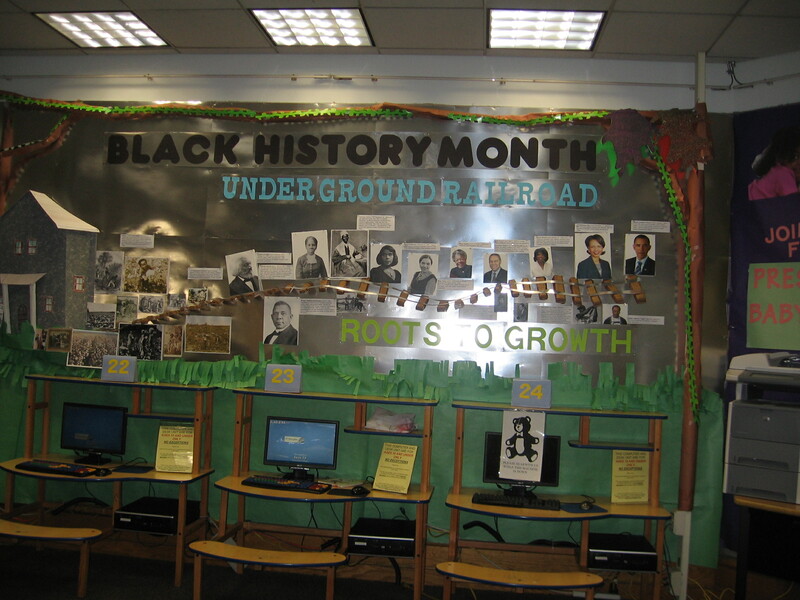 But all this track laying and celebration came after the building of the Under Ground Railroad. The ones lucky enough to move on this railroad traveled daily in fear of being beaten, shot or hung if caught. Their stays along the way while traveling this railroad consisted of secret back rooms, damp cellars, barns, farmer’s fields and isolated woods. Food came as it could-not from a shelf in a store but as it was caught, given or stolen. It is certainly a world experience hard to imagine while living in today’s life full of supermarkets, luxury homes and cars. But mostly it is a world hard to imagine while living in a society with comparative freedoms as we do in the US now. Thankfully times have changed. It is odd to think that a real likeness to this same image, the past image of an imaginary railroad that led people to safety and to freedom, is perhaps the same real existing thing that could once again lead American people out of a sort of bind. You know-a freight train today can move one ton of goods 436 miles on just one gallon of fuel! Just imagine if all our commerce moved on our rails today? How much freedom from the price structures of gasoline would this afford the American people today? But wait! Many say our rail system is too downgraded to do the work. Well, isn’t there a whole bunch of people running around saying we need jobs? Lets get to work and lay tracks to the future. Others say they don’t want a big government subsidized rail system. Gee…what subsidizes the building and repair of our roads everyday? 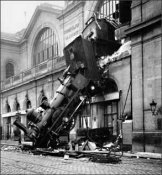 People say ” But no there is no money to rebuild America, to create a high speed rail system now.” Well, lets cry together when remembering the wealthiest in America just beat down a 4% tax increase on their earnings through muscling their way into Congress. Do you want to know what the tax % was on the 1% of the wealthiest in America when America did and could build the roads and dams we still use today? Drum roll please……90%. Yeah, 90% taxes on the rich helped build this country and the rich stayed rich, even back then at this 90% tax rate—this is how much money our rich actual did and do have. There is plenty of money to rebuild America. It’s just the ones who have the money won’t spend it on the US, not any more. We need another type of RailRoad to get this job done. But we can leave the old days behind and make a new start. Here’s hoping. Can we make it happen again? 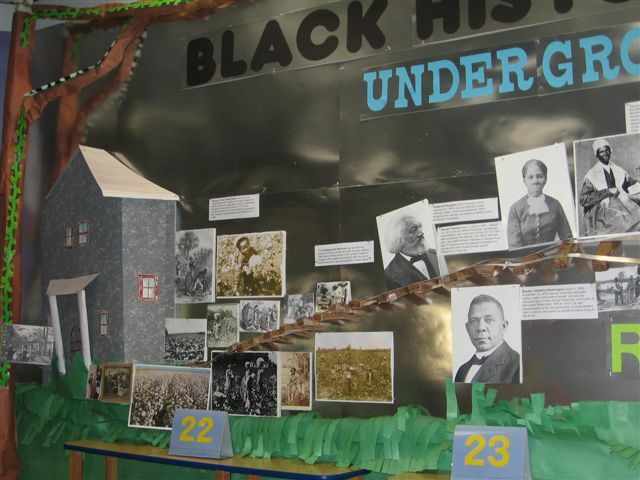 ** I built this 14 foot long track thinking all the time of how far we have come as a society since the days of slavery. A co-worker, Gail, helped with the various photographs we time-lined placed along the track. Enjoy. 2/8/11 WAIT!!! this story just in about a high speed rail in the US. Now we’re talking! Write all your congressional representatives-America needs to get this done. China already has an excellent high speed rail system in place. Good for you. Now send copies to all your representatives in Congress. Today most liberals are for a strong central government and high taxes which devastate economies…big government means a country of a dependent class and bureaucrats who service the dependents…a road to disaster. The conservatives are duped by the military industrial complex (do we really need 1,000 foreign military bases in 170 countries!!!) and the modern day liberal has been duped by the socialist fools that are clueless on basic economic laws. If you want to end almost all poverty in America lower income taxes to 10% and cut back on the military big time. Remember for every dollar not spent by the government it will be spent by a person a lot more wisely. If the person saves the money, wherever he saves it must lend it to someone and that person will spend it. So there is no economic slowdown at all. Unemployment would disappear with a 10% tax as the economy would boom. Read the book and learn something that will greatly help you to understand this area. but did I miss the title of the book? Hey!Does anyone like the bulletin board???? Why the heck can’t I get more than one voter on these blogs—It makes it hard to figure an average……Hello, rate the freakin’ blogs!!!! IMO high speed rail is just another attempt by big government to take over another aspect of the American economy. The cost of this boondoggle is in the end, born by the taxpayers. Government owned, operated, subsidized, and unionized rail, at the taxpayers expense. ..How about the Hoover Dam? Whose money built that and who does it serve? High speed rail is a necessity–the idea that government should not build this for it’s people is just wrong. Currently (TODAY) mass transit as a whole in this country is not profitable and would not exist without ongoing government subsidy. There is little reason to think HSR would be any different. Will we subsidize those that will not be able to afford the cost of riding HSR? Create another entitlement? We as individuals and families must live within our budgets. Should we not demand the same of our government? I don’t want me, my family, or my friends further indebted to the federal government. Those that support HSR should start a fund and give all they want. Please leave me and my family out of it. HSR is not an experiment but a reality in Europe, China and in all of Japan– Do they cost money? Yes, but so do roads, trucks, tires and gasoline. I did something dishonest. I voted twice, just to see if I could. My bad. Gosh. Gail! Just when I think I know some one, you have to go and vote twice on the same post !!! BTW the bulletin board(s) are on U Tube today on Library Snap Shot Day! The USA has around 3.8 MILLION square miles. Western Europe has around 381 THOUSAND square miles. The population of the USA is prox 309 million. 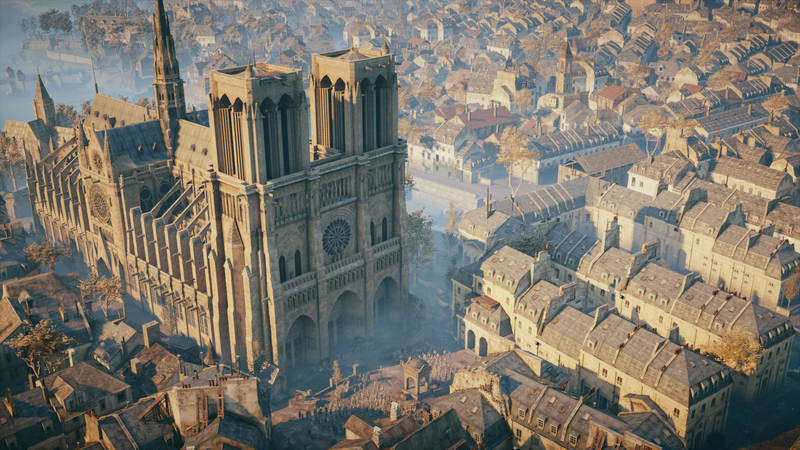 The population of Western Europe is prox 400 million (much more densly populated). Western Europe has nearly 100 million more population than USA in a land size of about 1/10 of the USA. HSR may make sense for Western Europe or Japan. If states want HSR let them vote on it and float bonds to pay for it or let their taxpayers agree to foot the bill. I don’t want to be taxed out the wazoo for something I’ll probably never see or use. Is HSR a good concept….yes. Is it economically feasible for most of the US? I don’t think so. Airlines work for me. BTW most people in China can’t afford a ticket on their HSR. The reason for HSR in China is to free up the traditional rail system to haul coal and free up the roads for trucks to haul coal. It is sad that we are going further in debt to pay for China’s HSR. Approx. 1.3 billion for China, compared to 0.3 billion for United States. Hsr rails from Miami to New York City would mean you could actually read the morning paper in Miami to see what son Broadway and make an 8 o’clock showing in New York city that same day! Great achievements that benefit everyone require huge cash funding by the collective monies of tax payers–as noted the Hoover Dam and quickly we might quickly add the Panama Canal are two of them as examples—huge government run programs, buildings, that have benefited Mankind endlessly…the HSR across America will be and do the same. In this case I must agree-these times of neighborhoods seems lost forever.